Are pedal desks the new standing desks? With business technology having increased convenience for employees in many ways, it has lessened their need to move as frequently as our predecessors would have at the workplace. Thus, long hours of sitting at the desk have constantly been linked to an increased risk of type 2 diabetes and risk of obesity. Excess sitting time in an office-based workplace has become the single largest contributor to total weekday sitting time (52%). Employees spend about five hours of their working day in prolonged, unbroken periods of sitting, which last more than 30 minutes each. To discourage this sedentary lifestyle, some companies have chosen to replace standard desks and chairs with standing desks and even treadmill desks. 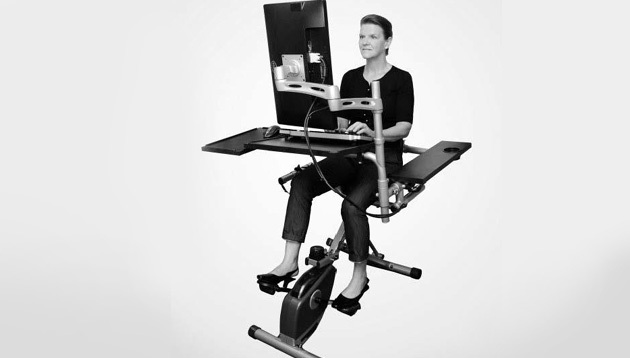 However, according to researchers in the study, these solutions are not feasible to use for long shifts and may even have more problems such as a decrease in work performance and motor skills, fatigue and discomfort after prolonged standing, and more. The study was carried out on 12 overweight or obese full-time, sedentary office workers in Massachusetts, aged 21 to 64. They were tested on common work skills such as mouse usage, typing and reading comprehension while pedaling, and their blood samples were collected to analyse their insulin and fatty acid levels post-pedaling and post-meal. The study revealed that employees who used a pedal desk had improved insulin responses to a test meal, with post-meal insulin levels dropping lower than that of when a standard desk was used. However, there were no significant differences in the work skills during the pedal test as compared to the standard desk test. With more workplaces adopting different methods to improve their employees’ activity levels, employers now have one more option that may be more hassle-free as compared to a total location revamp. However, the pedal desk has still not been developed for the market so while patiently waiting for its release, do make the best use of time to encourage your employees to adopt these simple, fuss-free workplace habits for a healthier life. Which workers are most likely to gain weight on the job, and what can you do about helping them to stay healthy?..